Social Media, Virtual Organizations, Blogging, Web 2.0, wisdom of the crowd, microblogging, video blogging, podcasting. Are you ready to gently walking into the deep waters of Internet marketing, collaboration, and open innovation? How to get started with Internet and Social Media? Why on earth should anybody spend time on Facebook, Twitter, Jaiku, Pownce, MySpace, etc. The foremost reason why people surf the Internet is because they are looking for information. So, if you have a story to tell, a product to sell or a service to promote, go ahead. Here is Sarah Palin presented by Zina Saunders. Gone are the days when all you needed to be on the web was a web site. Today you need to think and act in terms of a total web presence. And that means if you’re not participating in social media, you’re not really online. Consider these highlights from a wonderfully comprehensive research project. You need to be a member of 9T to add comments! Several years ago photo-walking in Kouvola. We did go to the Kouvola China Center to study a project about to fail badly. I've no idea what happened after the bankruptcy a few years after the start-up. Fifty five percent of employed U.S. adults would leave their traditional jobs to be self-employed if they could be sure of their financial stability, according to a recent study. That's almost 78 million people. What do these individuals want that their current jobs aren't offering them? Apparently, creativity: 36 percent of employed adults want to quit their current jobs to pursue a more creative position. They're even ready to sacrifice their paychecks, with 29 percent saying they would be willing to take a pay cut for a job that allowed them to be more creative. "In today's world, there are so many more opportunities to be self-employed," says Mika Salmi, CEO of CreativeLive, the online education network that commissioned the survey. Salmi says creativity at work can take many forms – working in an office filled with innovative people, building a career in a creative field or pursuing artistic passions by selling art, clothing and handmade creations online on sites like eBay and Etsy. Finding an outlet for your creativity at work can result in truly innovative ideas and approaches, while also fulfilling your artistic needs. Helmikuun puolivälissä Baltimoressa järjestetty, vuosittainen Computer-Supported Cooperative Work -konferenssi oli runsaudensarvi tuoretta tutkimusta joka liikkuu eri sosiaalitieteiden ja tietotekniikan alojen rajapinnoilla. Toinen kasvava keskustelunala on joukkoistettu työ (crowdwork), jonka luotettavuus ja oikeudenmukaisuus puhuttaa tutkimuspiireissäkin enenevissä määrin. Keskustelimme 6T evoluutiosta Irmeli Aron kanssa. 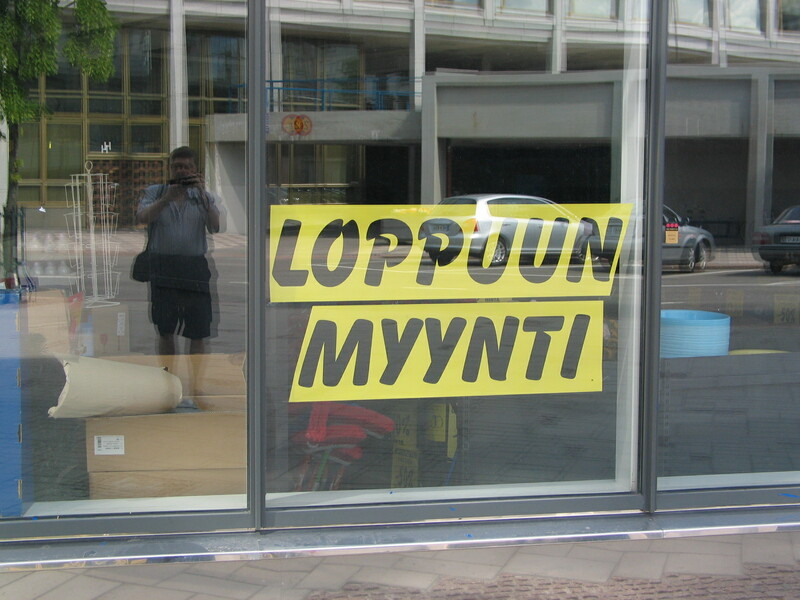 Tässä muistiinpanot. As the saying goes “Your only as strong as your weakest link”, and technology this week was the weak link. When you are doing a program like this, one thing that I take into account each week is..”What do I do…if this happens?” Backup plans are a must when it comes to a live show and thankfully, I always have a Plan B in place. The show starts off strong for Episode #8 and we even see some new faces pop in from other podcasts around the net, like out friend “SFK, from http://www.obsessivesneakerdisorder.net ” He stopped by to see what the word was, and was impressed with the chat and the tunes. We appreciate him stopping by. We are also seeing that a lot of the listeners are telling their friends to check out RAR Live on Tuesday nights at 9:15 pm EST and the chat is filling in nicely. Thank you to all that are spreading the good word about all the fun that we have on the show listening to great music and also the hysterical chat that takes place on the video channel. After this show, it was in joint agreement from Paul and I that we wouldn’t be streaming the video from Livestream until we had an answer to all the tech issues that we have experienced over the past 3 weeks. So, in Episode #9, you won’t have video, but a solid stream of music that will post as a podcast as well. We lost the audio on the streaming video channel at the 23 minute mark and the frustration showed till the very end, but…we all made the best of it. Overall it was a fun show and the music rocked and the chat wasn’t far behind….it was great and the listeners made it that way. Again, thank you to all the fans of the show that show their continued support for Random Access Radio, and of course, Sound Check with CK. The innovation train starts at 6:30 am January 13, 2010. We’ve fifteen days to wait until the departure. Is anybody from Oulu reading this or following the discussions in Qaiku. Janne Saarikko wrote today that 47 tickets have been delivered and now it’s important for all the participants to be on time at the Helsinki railway station. A small group will step on the train in Tampere. I haven’t yet decided if I travel from Loviisa to Helsinki early in the morning or if I leave from Kajaani to Helsinki the night before. The third alternative would be to spend my night in Espoo. What are we expecting from this trip? What are the seven sponsors waiting for? Some of the problems to be solved have already been presented. Some will be disclosed during the first hours on the train. There will be an extensive documentation of what happens during this trip. It will be a starting point towards something new. The innovation train is moving. We've 40 participants and still waiting for 7 to come. The train will move Helsinki-Oulu-Helsinki 13.1.2009. The goal is to meet with leading Finnish open innovation and digital collaboration specialists from all around the country. The official page is Collcet!